A global DNA project for the name Sabey and all variants has been set up with Family Tree DNA. 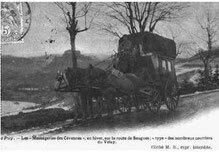 I am aiming to determine common heritage between family trees and test the theory that the surname is a derivation of Sabine or Sabin. I am also researching the surname and have registered Sabey with the Guild of One-Name Studies (member 7640). The project and study will run in conjunction with each other to marry traditional genealogical research with genetic testing. If you are a male Sabey and have had your Y-DNA tested please consider joining the Project as every holder of each variant spelling will form a vital part of the study. If you are thinking of taking a Y-DNA test (or you are a female who could persuade Mr. Sabey to!) contact us at the Guild of One-Name Studies as we offer a discounted FTDNA testing kit. I highly recommend that you change the privacy setting for YDNA test results from private (project only) to public (everyone). This is a major tradeoff between making your data private and making your data available for public access (specially haplogroup research). Many smaller projects like yours can not been seen by haplogroup researchers like me. I am one of the admins for R-L226 - one of the three major primarily Irish haplogroups. By keeping your project private, haplogroup researchers do not know that your testing exists. Even though your project is only two members, eventually it will grow to 10 to 20 pretty fast. I have around 53,000 testers at 67 markers for haplogroup R. I did find one Sabin (286316) in the Damron project. If you do not have this person in your project, you could send an email to the Damron project admin requesting that he forward your request to this tester to join your project. Also, the haplogroup I testers have another Sabin (141833) in the Russian DNA project who has tested at 67 markers. Thanks for pointing that out, I thought they already were private! Now changed, I hope! Thanks Robert for pointing out the bigger picture, I hadn't thought of that. At present I prefer to keep them private, project only and until I have more experience of how the system works. The Guild of One-Name Studies is supporting me and will ask their advice too. I don't anticipate getting many members as Sabey is a very unusual name so I appreciate the tip on the projects that have Sabin members, many thanks. Welcome to the Sabey One-Name Study. I have always been intrigued by my birth surname Sabey because it is quite unusual and has obscure origins. It rhymes with baby, but is often mispronounced to rhyme with tabby. At present I am in the process of digitising nearly 40 years of my late father's research in addition to my own. The aim of the study is to bring together all possible data, information and research relating to Sabey in order to share it with those who are also researching or have any interest in the surname. 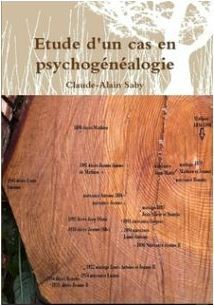 As such, it will remain a work in progress and I welcome any contributions or comments. The origin is uncertain, but many sources including The Oxford Dictionary of Family Names in Britain and Ireland (Patrick Hanks, Richard Coates, and Peter McClure, 2016) say it is probably a reduced form of Sabin. The Sabines were an ancient Italian tribe who gave their name to a number of saints named Saint Sabinus and also Saint Sabina who was murdered for her faith. Many are not persuaded by this, so I would like to explore other options. There are several towns in Sweden named Säby and a seaport in Northern Denmark called Saeby. In 2014, 605 people in Denmark held the name Saabye. Perhaps there is an ancient invader or a more recent coloniser responsible for at least one branch of the surname? The Scandinavian influence also extends to the name of our towns. Those which end in "by" meaning "homestead" are of Viking origin, such as Corby and Whitby. "Sae" is Old Norse for sea. The Anglo Saxon word “saeba” means “sea illustrious” or “sea bright” and "ebba" means "tide" so our earliest Sabey name holders could have been coastal dwellers who adopted their first name as a surname when the need arose. Saby is a French spelling of the surname. Due to the proliferation of Sabey name holders in Bedfordshire today, it has been suggested that it may be a Huguenot surname, because both are famous for their lace, but to date I have been unable to confirm that. 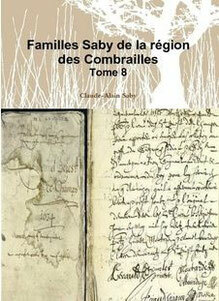 There are scatterings of small groups of Sabey/Sabie/Saby/Sabbe families in various locations all around England from as early as 1441, suggesting there may be multiple origins. An ancient deed from Biggleswade dated 1080 names William Sebby, could this have become Sabey over time? The discussion continues on the Sabey website, but the Sabey DNA Project should throw further light on the issue (see below). Research is ongoing, but Public Profiler identifies 226 individuals bearing the Sabey name in the 1881 Census for England & Wales. It also shows that by 1998 there were 239 name bearers. There were 251 Sabey name bearers in the 1939 Register in England (Findmypast). In the 1841 census, the highest percentage of Sabeys are centred around Bedfordshire, Huntingdonshire and Cambridgeshire. However, the largest number of holders of the name during the sixteenth and seventeenth century, were in Northamptonshire. By 1881, Kent and Middlesex also have a large proportion of Sabey name bearers. In Kent, brickmaking, cement-works and barge building to transport the goods that fuelled the London expansion, caused a movement of workers and the arrival of railways in the 1850s facilitated this mobility. The 1939 Register shows the spread of the surname was more evenly distributed between the above counties, but also Yorkshire, Northamptonshire and Surrey. By 1998, according to Public Profiler, the strongest concentration was still in Bedfordshire and the surrounding counties, but also London. The industry that pulled people to Kent was largely defunct by this time. Pockets of Sabeys can also be found in Yorkshire, Dumfries and Devon. These migrations have not only been seen across the UK but worldwide. As a result there are now established populations in USA, Canada and Australia. James Sabey (1834-1910) from Upper Caldecote in Bedfordshire, England sailed from Liverpool to New York in 1861 taking his wife and 4 children with him. He settled in Utah and became a Mormon Pioneer. His marriages produced over 20 children and many of those who bear the Sabey name in Canada and the USA can trace their ancestry back to James. A DNA project for the name Sabey and any variants has been set up with Family Tree DNA. So far two different branches have been identified, both originating in Bolnhurst, Bedfordshire. 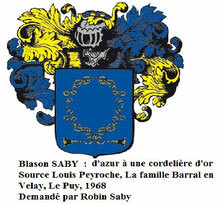 We also have one member with the surname Sabin who does not match either of the Sabey profiles. There are two members of the project with the surname Saban who match each other, but not any of the Sabey or Sabin members. If you are a male Sabey and have had your Y-DNA tested, please seriously consider joining the Project as every holder of each variant spelling will form a vital part of the study. If you are thinking of taking a Y-DNA test, contact us as the Guild offer a discounted FTDNA testing kit for use as part of a surname project.